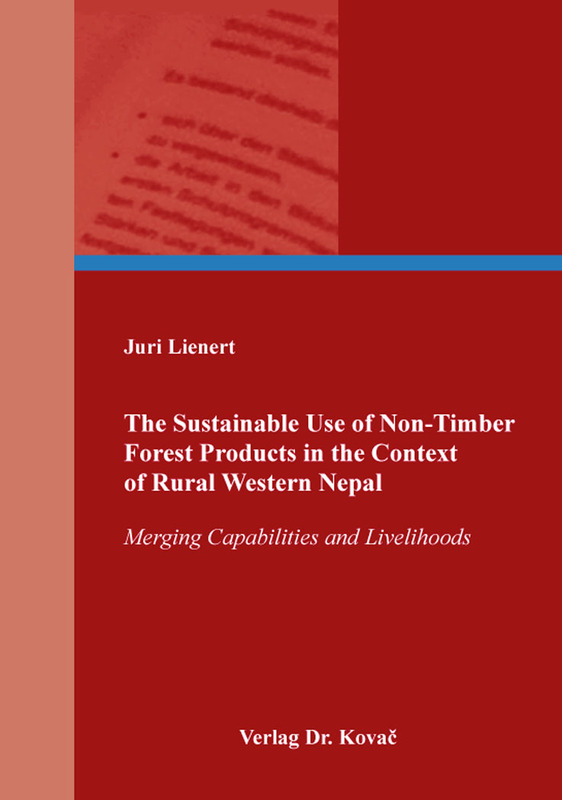 The Sustainable Use of Non-Timber Forest Products in the Context of Rural Western Nepal. Doktorarbeit von Juri Lienert, Verlag Dr. Kovač 2017, 264 S.
The use of biological resources forms an important livelihood component, especially for poor people in countries of the global south. Apart from being used for trade, biological resources also build an important pillar for fulfilling people’s everyday needs. This also accounts for Nepal. Although the country possesses a remarkable diversity of biological resources, so far only marginal trade and corresponding value chain activities for life quality improvements exist. Accordingly, the potential of a sustainable use of biological resources as a development strategy looks promising for poverty alleviation. This book investigates well-being and benefit-sharing aspects of local people emerging from the valuation of Non-Timber-Forest-Products (NTFPs). One core challenge is how the state of human well-being in correlation to those biological resources can be assessed. To answer this question, this study describes the development of a well-being-livelihood framework that is based on the Capability Approach and on the Sustainable Livelihood Approach.